The prominently Gym Red upper Air Jordan 10 Retro ‘Lady Liberty’ is available to purchase at the retailers listed below at 10am EST on February 15th. The sneaker is an homage to the 2015 NBA all-star game location in New York, with the upper mirroring the copper/metallic look of the famous Statue of Liberty. Teal is used on the collar as well as the lines on the outsole, which once again looks similar to the statue. If the kobe x black-out CW was actually purple, I guess these can pass off as having “prominently gym red upper” lol. 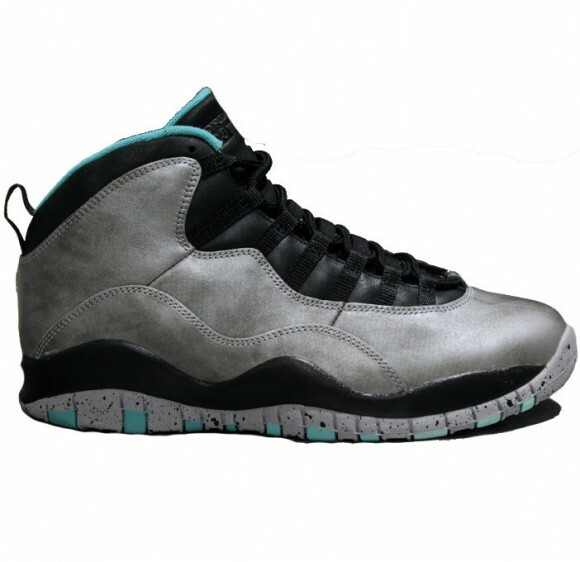 Finishline still has these Jordan 10 Liberty’s available. They look grey to me. Well I just got the Jordan 10’s in the mail and it’s underwhelming. I bought this pair because, I never had the 10’s. Being “remastered” I had high hopes. The Way of Wades materials are better than these. Makes me wonder what the non “remastered” retros are like. I don’t mind paying a certain price as long as the quality is there.